Being accused of committing a criminal offense is an experience like no other. From your arrest, through the booking process, and up through your trail, it may seem as if everyone is hoping to see you fail. Before you even go in front of the judge, you can feel as if you’re already guilty just from how people are treating you. Friends and family aren’t supporting you as you need them to and it may even seem as if your attorney is doing the bare minimum to represent you. With all of that aside, you hope that through the trial process, the jury will conclude that you are not guilty of the presented charges and you’ll be able to go back to your normal life. However, the opposite happens. The jury finds you guilty of all charges, and all of your naysayers’ beliefs are affirmed, but your case doesn’t have to end here. 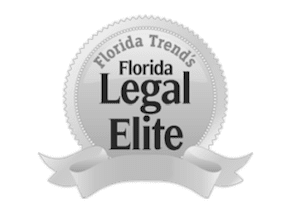 An Orlando appellate lawyer with the Umansky Law Firm can present your request for an appeal and serve as your legal representation throughout the appeals process. As much as the legal system is designed to be faultless, we understand that errors do occur, and in some cases, they lead to an unjust criminal conviction. We possess the legal knowledge of the appeals process and what it takes to have a request approved. If you believe that any of the following instances were relevant in your trial, contact The Umansky Law Firm. Do you believe your legal counsel did very little to benefit your case? Did it seem as if the plea deal was the only thing on their radar and actually presenting a sufficient defense was not a part of the plan? We may be able to help. When you make this claim for an appeal, you will have the ability to acquire us as your legal counsel in place of your past attorney. Our job will be to make the case that your past counsel’s performance was inadequate and that his or her inadequacy led to your conviction. The appeals process is designed to present new evidence, but the discovery of new evidence is a reasonable ground to request an appeal. This claim is relevant if you believe pertinent evidence was overlooked, unavailable at the time, or recently discovered. A prime example of such an instance is if you were convicted of murder, but DNA results later prove your innocence. An appeal can result in your case being dismissed if the newfound evidence is properly presented. To have a trial retried as a result of prosecutorial misconduct, you must prove that either the police, the prosecution or both acted unfairly or illegally during the trial. A few manifestations of prosecutorial misconduct include the admission of a false testimony, the omission of possibly exonerating evidence or any other type of unjust acts. One can also pursue this as a grounds for an appeal even if the action was done unintentionally. These are just a few of the many reasons to appeal a criminal conviction. The seasoned appellate lawyers at The Umansky Law Firm can make you aware of all of the legal options available to you and help you reach a favorable conclusion to your case. Contact us today at 407-228-3838 for a free case evaluation.